Publications like these have helped many see the folly of compromise on Genesis, and helped ground people in the Bible. This week’s correspondence features a testimony from June R. from New Zealand, who recognized the damage long-age thinking does to Christian faith. 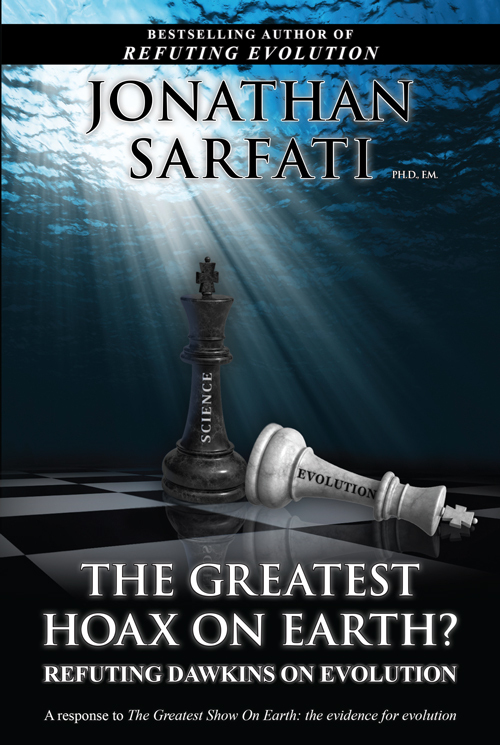 CMI’s Dr Carl Wieland and Dr Jonathan Sarfati also answer questions on the meaning of “devolve” and the bias of the mainstream media towards evolution. I would like to record my sincere and heartfelt thanks to all of you at CMI. At the age of 13 I was a convinced (but very ignorant) atheist, having been influenced by the science lessons received at secondary school in Sydney to believe that the earth was extremely old (because of the rock layers) and that evolution accounted for the diverse forms of life on earth (because of the fossils in the rocks); and following on this, evolution. But then my brother (15) was converted at a Crusader camp, and he introduced me to three (for me) pivotal books: The Problem of Pain, by C.S. Lewis; C.T. Studd, Cricketer and Pioneer, by Norman Grubb; and Who Moved the Stone?, by Frank Morison. It was obvious that a 6-day creation and a world-wide Flood, as the Bible said, was a totally adequate explanation for the phenomena that we observe in nature. Once I was convinced that Jesus really rose from the dead, I became a Christian, and also accepted the authority and truth of the Bible. If Jesus believed in the first chapters of Genesis, as He obviously did, then it must be true; He is God, He must know. But unfortunately I also still thought that what had been taught to me about rock layers, long ages and fossils was also true. I uneasily accepted the ‘day-age’ theory and tried to ignore the fact that it didn’t really fit, and avoided thinking about the subject as much as possible. Then, when I was 41, I began to teach Bible in Schools to Standard 4 children, and Creation was in my curriculum. It was very difficult, given my own confusion – I majored on the fact that there were only two alternatives, intelligent design or chance, and emphasised the extreme unlikelihood of everything having happened by chance, the impossibility of the first living cell arising by chance, and so on. But I still taught them the ‘day-age’ theory! I received a shock when the grandson of one of my fellow Bible teachers told his grandmother, “Mrs R. believes in evolution”. It showed me how unconvincing and contradictory my lessons were. But then, praise God, I read The Genesis Flood [Ed. note: this classic (though now geologically out of date) 1961 book, by the late Dr Henry M. Morris and Dr John Whitcomb, was responsible for many folk in CMI becoming firm believers in Genesis creation.] and Henry Morris’s commentary on Genesis [The Genesis Record]. I saw that the story of fossil formation in sedimentary rocks over long years was nonsense—fossils have to be formed quickly. It was obvious that a 6-day creation and a world-wide Flood, as the Bible said, was a totally adequate explanation for the phenomena that we observe in nature. 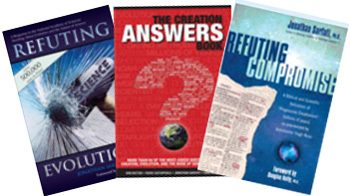 Since then I have devoured Creation magazine and book after book from your ministry [now called] Creation Ministries International … and visit and profit from your website every day. It is invidious to single people out, but I so appreciate your wonderful scientists, Dr Jonathan Sarfati, Michael Oard1, and many others, and Dr Carl Wieland’s long service and marvellous effectiveness ( accompanied always by a gracious attitude) as a debater. What a relief it has been to accept the whole Bible as absolutely true. Thank you again, all of you. I honour you. I have noticed a number of places in your magazines where the word ‘devolve’ is used to indicate changes that are the opposite of evolution. ‘Devolve’ is NOT the opposite of ‘evolve’. The opposite of ‘evolve’ is ‘regress’. ‘Devolve’ means to place a responsibility on someone-as in, it devolves upon you to use correct English when publishing a magazine, especially if trying to promote the intellectual credibility of your argument. We’re always grateful when someone lets us know of apparent errors, though in this case it’s not really an error, as I think I can show you. Your usage of the word is correct, but many words have multiple meanings, and this one is no exception. For example, from dictionary.com, the first source I consulted, comes the following list for ‘devolution’ (I’ve marked the applicable one in blue). the act or fact of devolving; passage onward from stage to stage. the passing on to a successor of an unexercised right. Law . the passing of property from one to another, as by hereditary succession. the transfer of power or authority from a central government to a local government. We wish more people would notify us about perceived errors, because we certainly do make them in the course of all the wordage we produce, and want to always be as accurate as possible. Thank you once again for caring though, it is appreciated. We wish more people would notify us about perceived errors, because we certainly do make them in the course of all the wordage we produce, and want to always be as accurate as possible. I trust our publications have been of help and interest to you. What worries me is that the UK’s Channel 4 are doing a series showcasing Dawkins’ ideas—as if they are based on real science! I would like to contact them to ask when they are going to show the scientific evidence for creation, to provide proper balance; but doubt it will make any difference. It makes me so angry that Dawkins is allowed to proselytise with his stupid anti-God ‘religion’ while non-evolutionist science doesn’t get a look in! Dawkins et al are indeed ‘stupid’ in the Biblical sense, “The fool says in his heart there is no God”! Unfortunately the mainstream media is beholden to atheism, with only lip service to Christianity. But it might be something to wake up the complacent church, so that the people might be motivated to become equipped, e.g. with The Greatest Hoax on Earth? (as explained in https://creation.com/the-greatest-hoax-on-earth/main.php), and for pastors to invite CMI speakers to their main services so that at least the church will hear the truth. Mike has spoken at our venues several times over the years, but has only recently formally joined the CMI-USA speaking team. Return to text.